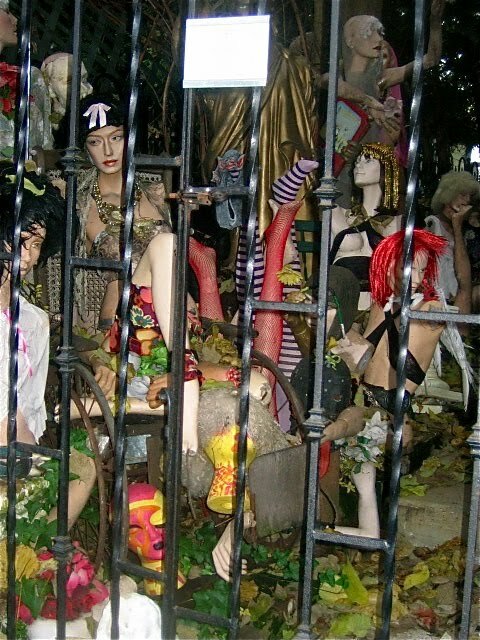 If you're shopping for last-minute Halloween stuff and missing Love Saves the Day since it departed the East Village back in January 2009, you have another chance to enjoy the ambiance of Pez dispensers, vintage collectibles, fright wigs, and rubber hands from the crypt. But you'll have to go out of town for it. 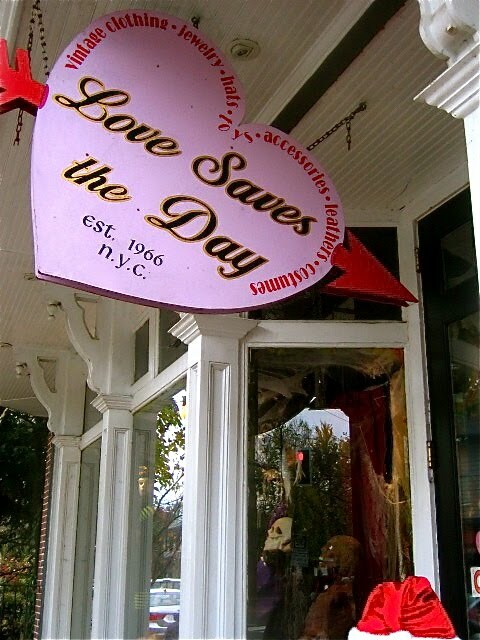 Love is still saving the day in New Hope, Pennsylvania--and they still don't like strollers, cell phones, cameras, or unattended children. 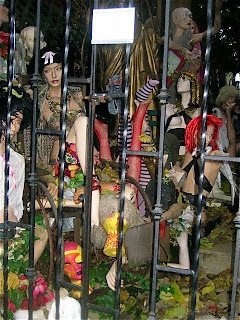 As far as I know, Madonna never shopped here, at least not on film as she did in New York, but the locals love it, especially at Halloween. And it has its own building, so nobody's going to give it the boot or price it out of business. Original LSD owner Leslie Herson moved out to the country part time nearly 30 years ago. 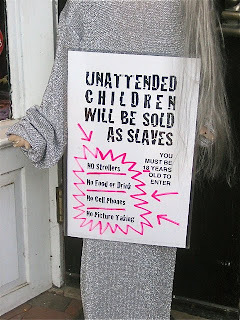 Said Leslie upon the near-closing of the New York store in 2005, "It’s a shame. 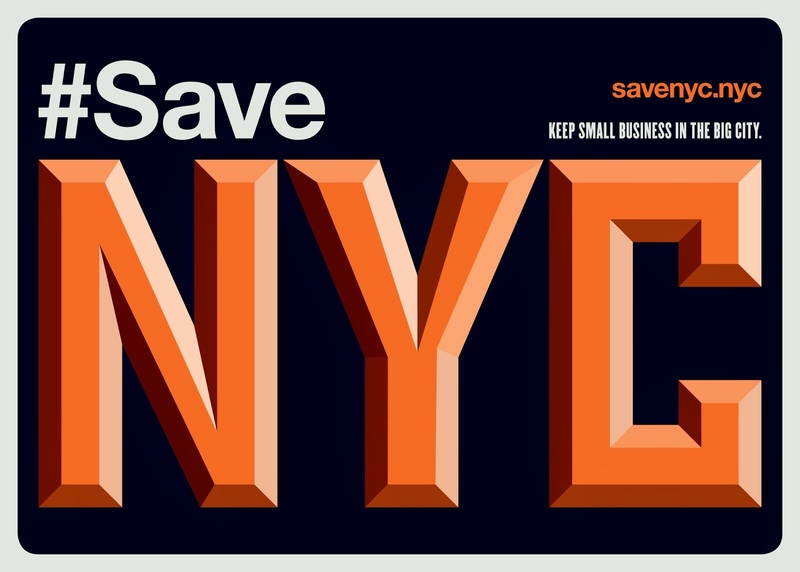 New York is losing its individuality because little stores like mine can’t compete." Now that individuality, lost to the city, is being scattered across the country. As New York City turns into Little Wisconsin, mini Nantucket, and the rest, small-town America is getting bits and pieces of the city. Fair exchange? I like that it's in a town called New Hope. It's an appropriate name for that town -- it seems like a place many of the older EVers go after they get priced out or retire. There are a lot of weird outcast-type people and a couple of hippies there. It's pretty sanitized (and in the country) but when I was there the people were cool. Leslie passed away, but her husband and others keep the store going. She also spawned a number of businesses by ex-employees, whom she always helped, including hip stores "13" on S. Main St. and God Save the Qweens on W. Mechanic St. in New Hope. Thanks for the tour--it was great to see them again! !Love them. thanks Charlie. New Hope does seem to be a good place for old New Yorkers and East Villagers to escape to. they also have a high-heeled "drag race" for Halloween, a kind of (very) mini Wigstock of sorts. i have been commenting for 3 months about this topic. i have said there are smaller cities where people will move. this is also happening in other countries as well in a rapid pace. eventually the smaller cities & countryside become un managable. (as i see during my travels). i think new york has some time left, eventually it will change- everything is globalized. geeze, I loved LSD. I lived a few blocks from it in the 1980's. It was my all time go to store. At least it wasn't replaced by a Gap 20 years ago. 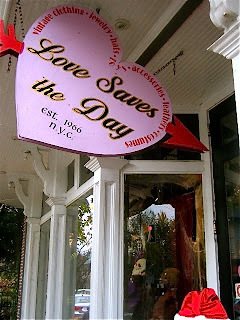 bought my wedding dress there (7th st)- 1988 - a marilynmonroe sequined number that i wore w/ feather earrings, long lame gloves and silk leggings to hide my hairy legs - exorbitant for $275 - but worth every picture and glamorous moment it was.